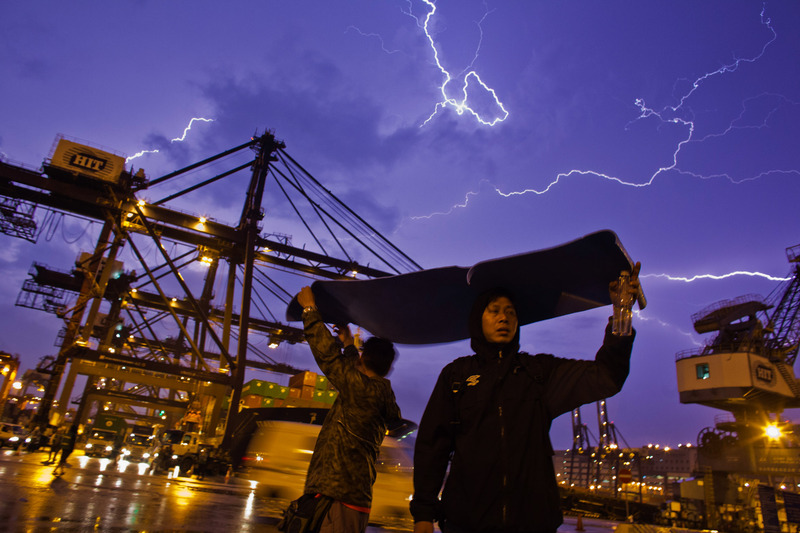 MARCH 28: Dock workers stage a sit-in as they go on strike over pay at the Kwai Chung Container Terminal on March 28, 2013 in Hong Kong, China. 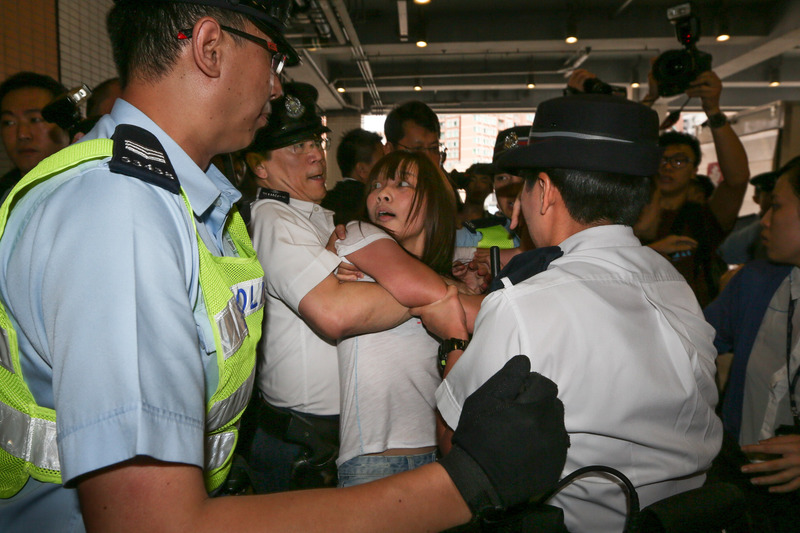 The workers, who are employed by the Hongkong International Terminals, are demanding higher wages, claiming that they have not received a pay rise for 15 years. 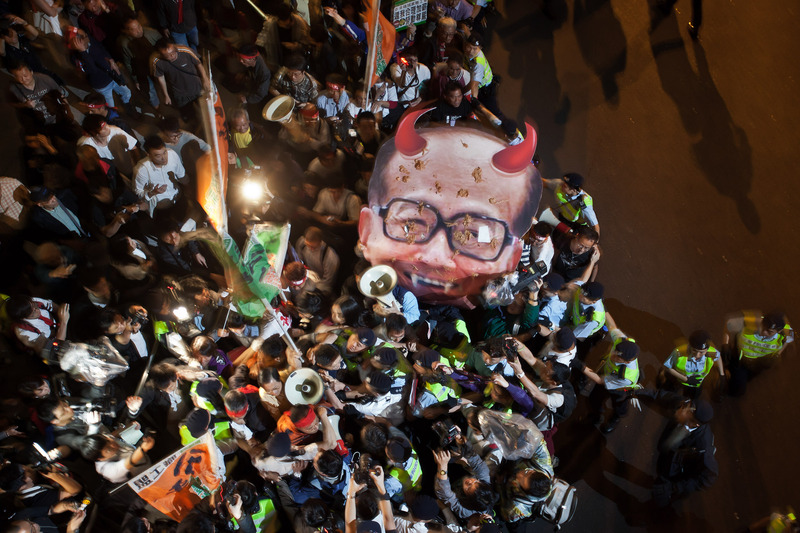 Strike dock workers and protesters holding a large portrait of Hong Kong Tycoon Li Ka-shing collide with the police during a march on 26 April 2013. 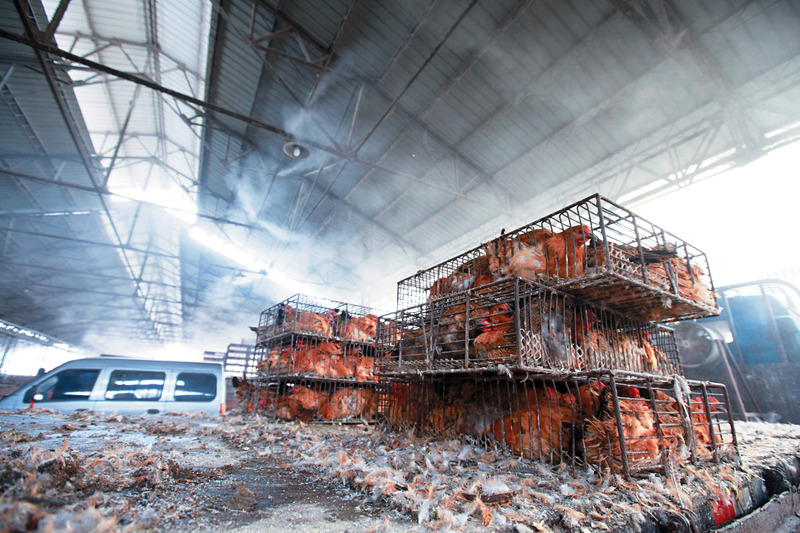 The strike lasted 40 days finally and the strikers accepted the offer of 9.8% pay rise. 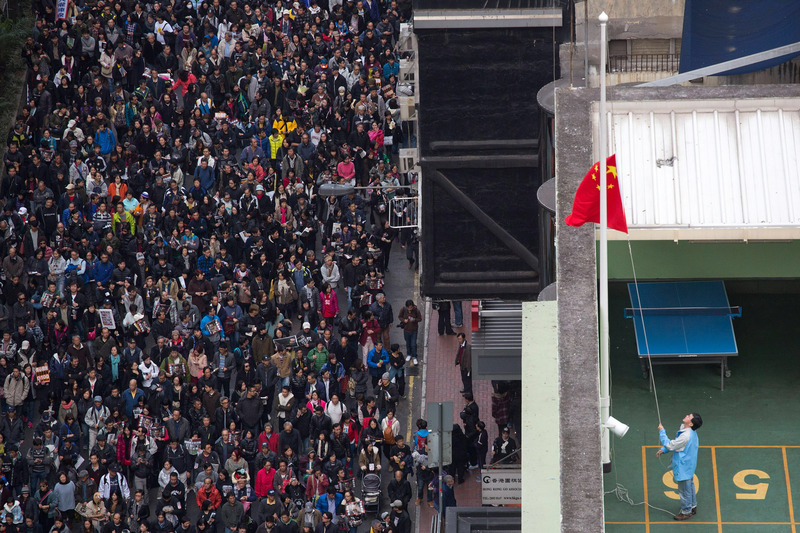 HONG KONG - JANUARY 01: A School staff member pulls down the national flag in the evening, while thousands of protestors joins a rally urging Hong Kong's Chief Executive Leung Chun-ying to step down at Causeway Bay> on January 1, 2013 in Hong Kong, Hong Kong.